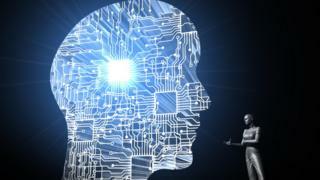 Image caption Could quantum computing unlock secrets of our bodies and the universe itself? But there's currently no consensus on the best way to make them or how to make them available to the mass market. Instead of using ones and noughts called bits, representing on or off, in long sequences as in classical computing a quantum bit - or qubit - uses the near magical properties of sub-atomic particles. Electrons or photons, for example, can be in two states at the same time - a phenomenon called superposition. As a result, a qubit-based computer can do far more calculations much faster than a conventional computer. "If you had a two-qubit computer and you add two qubits, it becomes a four-qubit computer. But you're not doubling the computer power, you're increasing it exponentially," explains Martin Giles, San Francisco bureau chief of the MIT Technology Review. Qubits can also influence each other even when they're not physically connected, a process called "entanglement". In computing terms, this gives them the ability to make logical leaps conventional computers never could. But qubits are highly unstable and prone to interference or "noise" from other sources of energy, leading to errors in calculations. So the race is one to find a way to stabilise them for mass-production. Computing giant IBM firmly believes that "transmon superconducting qubits" hold the most promise for quantum computing, and they have three prototype quantum processors that the public can access in the cloud. "So far, over 94,000 people have accessed IBM quantum computers in the cloud. They've run over five million experiments and written 110 papers," says Dr Robert Sutor, vice president for quantum computing strategy and ecosystem at IBM Research. "People are learning and experimenting... we hope in three to five years to be able to point at one specific example, and say that quantum significantly improves on anything classical computers can do." But IBM's method required the quantum computer to be stored within a large fridge, where the qubits are stored at temperatures close to absolute zero to ensure that they remain in their useful states. "It seems likely that superconducting qubits will be among the first technologies to enable useful quantum computation," says Joseph Fitzsimons, a principal investigator at the National University of Singapore's Centre of Quantum Technologies. "However, my impression is that they are analogous to vacuum tubes in early computers, rather than transistors which came along later. "We may yet see another technology emerge which becomes the ultimate winner." 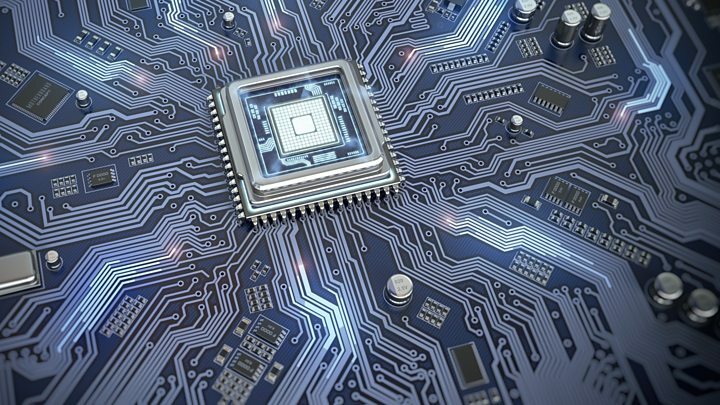 While other teams are working on trapping qubits in silicon - the material traditional computer chips have been made from. There are many ways to skin Schrodinger's Cat it seems. While we wait for quantum computers, what's the future for conventional, or classical, computing? And the EU recently announced it is working on the next generation of computers - exascale - which would enable a billion billion calculations per second. "Exascale means 10 to the power of 18 operations per second," explains says Prof Scott Aaronson, a theoretical computer scientist at UT Austin who mentored Mr Tang. "10 to the power of 18 is big, but quantum systems, which will be capable of 10 to the power of 1,000 operations per second, is much, much bigger." And the problem for classical computing is that we are reaching the limits of how many transistors we can fit onto a chip - Apple's A11 squeezes in an astonishing 4.3 billion, for example. Moore's Law - that every two years, microprocessors will get twice as fast, use half as much energy, and take up half as much space - is finally breaking down. "If we hadn't invested in quantum computing, the quantum algorithm that inspired Mr Tang wouldn't have existed," says Prof Robert Young, a Royal Society research fellow and director of the University of Lancaster's Quantum Technology Centre. "The real benefit of going to the Moon wasn't going to the Moon, it was the peripheral technologies that were developed on the way," says Prof Young - GPS satellite navigation and ball point pens that write upside down, to name but two. 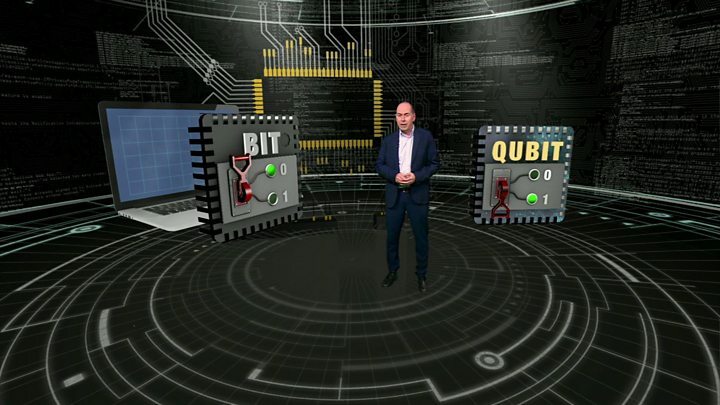 Video What is quantum computing?